Geo Energy Resources' 3Q18 revenue and net profit missed expectations due to lower production volume and higher cash cost. 4Q18 coal price outlook is weak. Capital injection and coal prepayment from Macquarie Bank. We lower forecasted sales volume to 7.5mn tonnes (previously 10mn tonnes) and revise ASP to US$41.5/tonne (previously US$40.5/tonne) in FY18. Meanwhile, we raise our cash cost to US$31.5/tonne (previously US$30.5/tonne). Accordingly, FY18e EPS is cut to 1.7 US cents (previously 2.5 US cents). Based on an unchanged forward PER of 10x (average of regional peers) and the exchange rate (USD/SGD) of 1.37, we maintain our BUY recommendation but with a lower target price of S$0.245 (previously S$0.34). In 3Q18, the average stripping ratio (SR) for SDJ mine dropped to 2.4 (2Q18: 3.0, 3Q17: 3.5). The full-year forecast SR is 2.8, compared to 3.6 in FY17. Accordingly, it will help to partially offset the increase in overall cash costs due mainly to the operation of the new TBR mine (3Q18 SR: 3.6). The average SR for both mines is projected to be 3.9, and the average cash cost is estimated to be US$32/tonne in FY18. 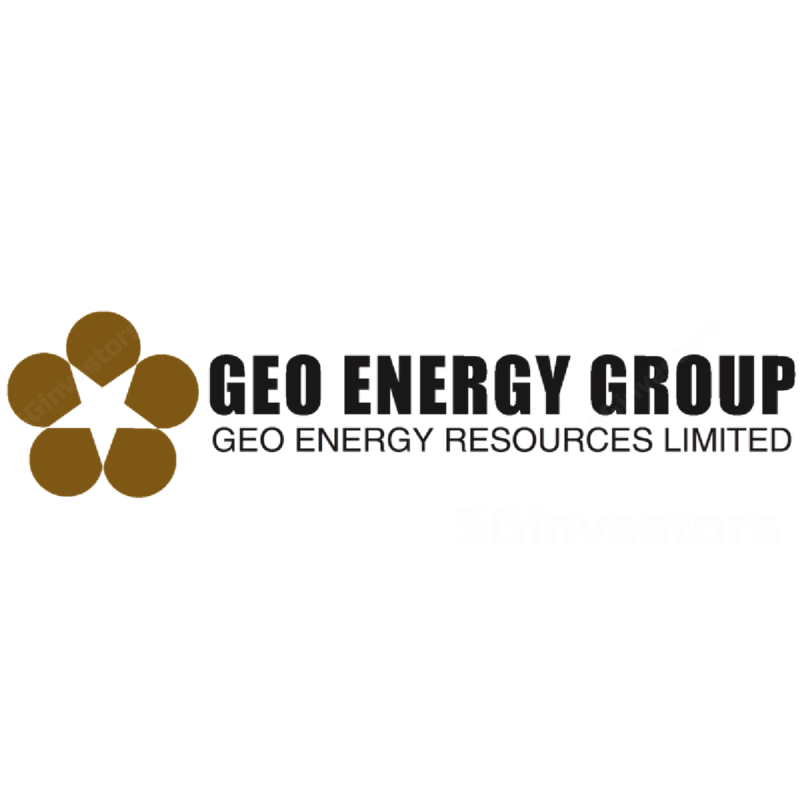 In Nov-18, Geo Energy Resources secured a life-of-mine offtake agreement for TBR mine with Macquarie Bank. The multi-year prepayment facility is structured into three tranches of US$25mn, US$25mn, and US$10mn. Meanwhile, the bank acquired 5% of ordinary shares at a price of S$0.29 (total capital injection: US15mn). It also subscribed 74mn non-listed, transferable, free warrants with a 2-year expiry at an exercise price of S$0.33. In 3Q18, the sales volume decreased by 15.8% y-o-y to 1.6mn tonnes, mainly attributable to the disruption on the loading which was impacted by maintenance work performed by the jetty operators (dredging of the seabed and upgrading of the loading equipment and conveyors) in Aug-and Sep-18. Meanwhile, ICI 4,200 GAR price averaged at US$41.5/tonne (down 7.3% q-o-q) in 3Q18. Though 3Q18 ASP remained healthy due mainly to the trading at backward prices (3 to 4 weeks prior to laycan shipment date), the dip in ICI 4,200 GAR price will translate a lower ASP in 4Q18. The near-term outlook for thermal coal prices is weak owing to the extension of coal import restriction in China. Currently, ICI 4,200 GAR is trading at US$35/tonne which is considered a breakeven price level for most of the Indonesian coal mines. Hence, Geo Energy Resources is expected to generate minimal profits in 4Q18 provided the coal price is maintained at the current level. On the other hand, the production target is cut from previous 10mn tonnes to 7 to 8mn tonnes. The operating strategy amid the price headwinds is to slow down production and maintain facilities. Once coal prices recover, it can resume the full speed operation without technical intermittence. We believe that the ramp-up of production will be realised in FY19 with the contribution from TBR mine. Management reiterated the production target for FY19 to be 13mn tonnes which are evenly split by SDJ and TBR mine. On the other hand, Geo Energy Resources is still seeking M&A targets which could still be coal mines to deploy cash. We lower forecasted sales volume to 7.5mn tonnes (previously 10mn tonnes) and revise ASP to US$41.5/tonne (previously US$40.5/tonne) for FY18e. Meanwhile, we raise cash cost to US$31.5/tonne (previously US$30.5/tonne). Accordingly, FY18e EPS is cut to 1.7 US cents (previously 2.5 US cents).